Because we understand how important is the relationship between care provider and care recipient. The Agency was established in 1998 and since then until present time we treated every one with compassion and respect. We speak English, Romanian, Bulgarian, Ukrainian, Russian, Spanish, Polish, Italian. 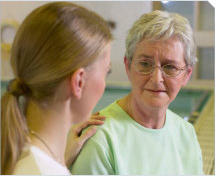 After presenting your case to the Agency you will have the chance to choose your own caregiver. We are a placement agency licensed by Illinois Department of Public Health and Illinois Department of Labor. to enhance the quality of life with kindness, understanding, dignity and support by offering affordable service and trustworthy staff. We are professionals who truly care about and understand your needs. Chicago European Caregivers provides non medical and professional care for the elderly. 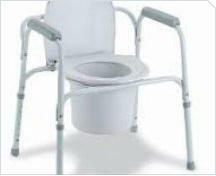 If you or a loved one requires assistance with the daily living activities in your own home we can help. Our friendly staff of qualified personnel are there for you when you need them most. Living in the comfort of your own home is priceless. Don't let the illness or age make daily activities challenging. Chicago European Care Givers will help you remain joyfully and independent in your home. You can have temporary, Hourly and Live-in caregivers Trained and Certified in assisting with Dementia, Parkinson's, M.S., Stroke, Cancer and more... Our Staff is available 24/7 and also on Holidays. 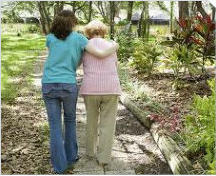 Having nice caregiver at home makes all the difference for the Elderly person. It lifts the spirit and gives them an opportunity to feel happier with a sense of being. Companions are trained to keep the confidentiality of client personal.financial and health information. The promises are clean and safe , Laundry is often done as needed. The Client is happy and care givers smile. The work is well done. Sometimes the elderly cannot dress themselves. Or depression takes over and they just do not feel like taking care of themselves. Our In home care givers or aids will make sure your loved one is taken care of. Being dressed and looking presentable helps morale and lifts the spirit. 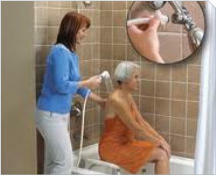 Each elderly receiving complete assistance with bathing ,showering or a sponge bath. Always provided with respect and prevention of safety. Helping the disabled or the elderly with their bodily functions is an exhausting job and our professional in home aids can help your loved one while letting them keep their dignity. For the elderly or disabled having a family member help them with toileting can be humiliating, however when our experts help they handle the situation with a lot less stress. Either its only within the house or taking a walk an expert will help move about and get around. As we get older driving becomes dangerous. Yet the elderly do not want to impose on anyone one and they want to stay as independent as possible. 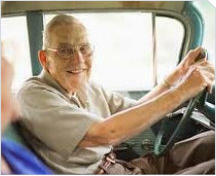 Our in home care givers can help your loved one get around safely and at their leisure. Our caregivers will take them to their doctor appointments, the park, the library or just grocery shopping. 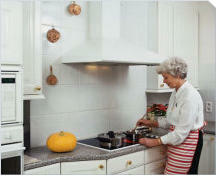 Proper food at proper time plays an important role in the elderly person. 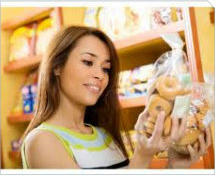 Your care giver will ensure that a healthy diet is followed along with any medical restrictions. Grocery shopping is a part of a joy of life. 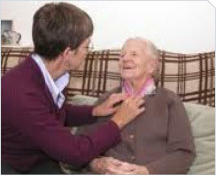 In home care giver will follow the guides lines going alone or in the company of the client. Thank you for your assistance in bringing Raina Petkevicienie in to our home. She has been a huge help and good company. I will recommend your agency ,and especially you Elizabeth to my friends. Enclosed is a check for Krystyna. So far all is going very, very well. She is a very sweet Gal, and so very eager to please. Hope she does not ever become risen Chantel with the job. Take care. May your Hollidays be filled with joy and good cheer. I wish you God’s blessings in your admirable work you do and lots of health and happiness. I have told my friends how happy I am with Elizabeth Kula and your agency. Three of them have already called you on my recommendation. I hope they will be as I am happy with their choices as I am with mine. Thank you for your personal interest on my behalf. I hope the weekend person is as nice as the weekday girl. Thank you for getting the girl Aleksandra for me in such short notice. We really appreciate how kind you have been . We thank you for your cooperation helping us to enjoy our Brazilian vacation. The caregiver you provided for our handicapped daughter Kristie, Jadwiga was excellent. She was cooperative, friendly and an excellent companion for our daughter. She drove her to and from her job, cooked and even cleaned the house. We would highly recommend your agency .